Antiscarped Music for all Freakadelic Listeners. 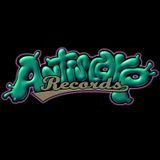 Antiscarp Records is independent record label runned by Team Antiscarp since 2001. Our main target is to bring new and fresh electronic music to hearing ears. You can find many Antiscarp artists from many antiscarp releases. and enjoy over 50 free mp3 releases on online releases section. Stay tuned for Antiscarp website for more future releases !